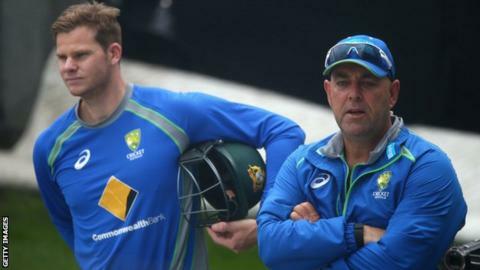 Australia coach Darren Lehmann will miss his side's three one-day internationals in New Zealand as he recovers from deep vein thrombosis. The 45-year-old was already sidelined for this month's three-match Twenty20 series against India following a scan on a swollen left calf last Saturday. He will now also miss the ODIs in New Zealand on 3, 6 and 8 February. Cricket Australia's chief medical officer Dr John Orchard said Lehmann was waiting for clearance to fly. "He is meeting with specialists in Sydney later this week and will have repeat scans on Friday to check his progress," added Orchard. Batting coach Michael di Venuto has been placed in charge of Australia for the current Twenty20 series against India, which comprises three games on 26, 29 and 31 January. No decision has yet been made on a stand-in for Lehmann for the New Zealand ODIs, which are followed by two Tests from 12-16 and 20-24 February.